Vizio, tagged as America’s No.1 LCD HDTV company, partnered on the 3D highway. 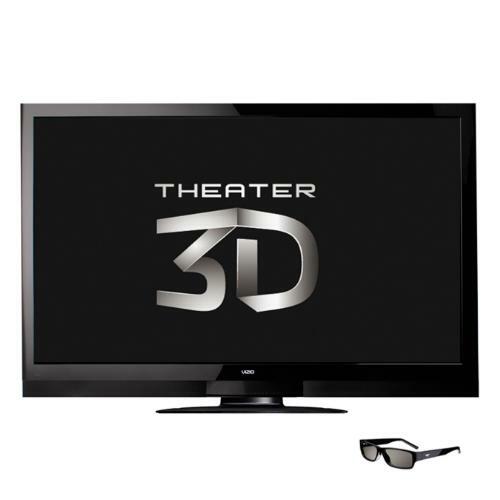 Today the company announced the introduction of the very first Theater 3D technology, marking the launch of the 65-inch Theater 3D Edge Lit Razor LED HDTV supported with Vizio Internet Apps. To top it all, Vizio’s 3D Theater comes packed with a battery-free, affordable and lightweight 3D glasses which guarantees lesser eyestrain compared to other conventional “Active Shutter” 3D glasses. Just in time for the holidays, the company proudly made its largest HDTV, the 65” XVT3D650SV available for 3D lovers. “Entertainment Freedom For All” is what Vizio’s Theater 3D technology promises to deliver. The Theater 3D technology manages to deliver clear, flicker-free 3D images while eliminating costly and bulky 3D eye-wear which usually requires batteries or charging. Vizio’s Theater 3D technology bring the cinema-style 3D experience home as the product is meant for all which comes packed with four sets of 3D glasses. Four-pair of glasses? That’s a wow. Share the experience of 3D viewing with your family and friends as you bring the 3D cinema home. Another plus point with VIZIO’s 3D glasses is that it has the ability to be used at most cinema houses. Our Theater 3D technology is a significant step forward in bringing a high-quality, immersive experience home to consumers. The bright and flicker-free images, extremely low crosstalk, and comfortable glasses allow extended viewing of content without the side-effects associated with the first generation of 3D technology. This is increasingly important as more content is released and 3D gaming goes mainstream. The Vizio Theater 3D incorporates a circular polarized 3D technology in the TV, promising a superior 3D experience to Active Shutter and other 3D technologies. VIZIO took great care and with much research, developed a 3D system which utilizes the same 3D movie standards being used in majority of the theaters.